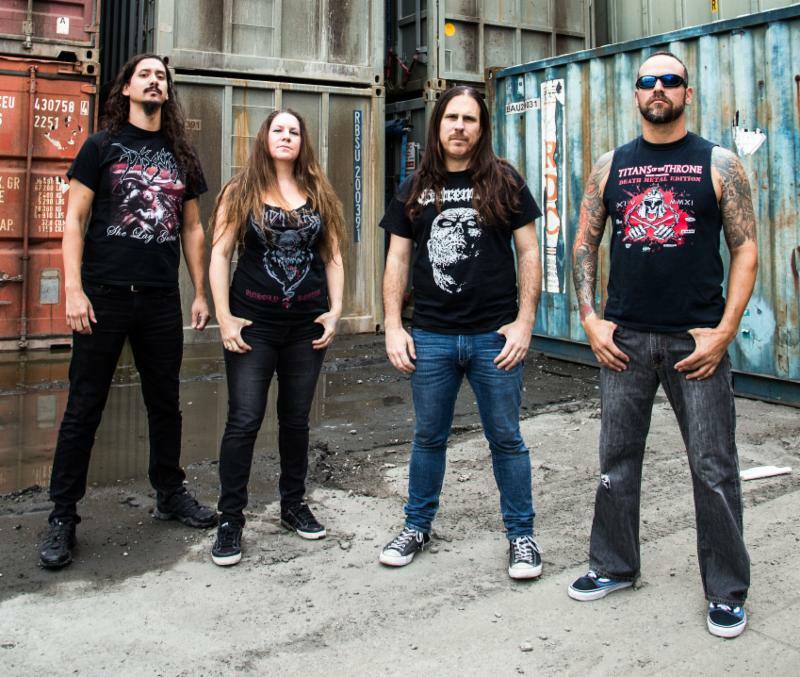 In the video below POSSESSED perform a full set of death metal at Oakland Metro Operahouse – Oakland, California – January 9th, 2019. Set list of the night. Professionally filmed video footage of POSSESSED’s performance at this year’s Bloodstock Open Air festival, which was held August 11-13 at Catton Hall, Walton-On-Trent, West Midlands, United Kingdom, can be seen below. Possessed sign to Nuclear Blast! Nuclear Blast is proud to finally announce the worldwide signing and return of POSSESSED! Few bands have done more to push the boundaries of extreme metal than the legendary POSSESSED. Even fewer can create a unique style, which continues to set them apart from all others by being the very first in a genre they laid the foundation for. POSSESSED are by definition, the creators of Death Metal. Ever since they stormed onto the San Francisco metal scene in the early 1980’s, POSSESSED has been redefining and breaking the rules for metal. Nuclear Blast is very excited to be a part of that continued legacy. Watch a short teaser video announcing the signing that includes a short snippet of demo of a new song here. Fans can expect POSSESSED’s first a full-length release in 31 years, sometime in 2018. Author capitalchaostvPosted on May 11, 2017 May 11, 2017 Categories NewsTags possessedLeave a comment on Possessed sign to Nuclear Blast!